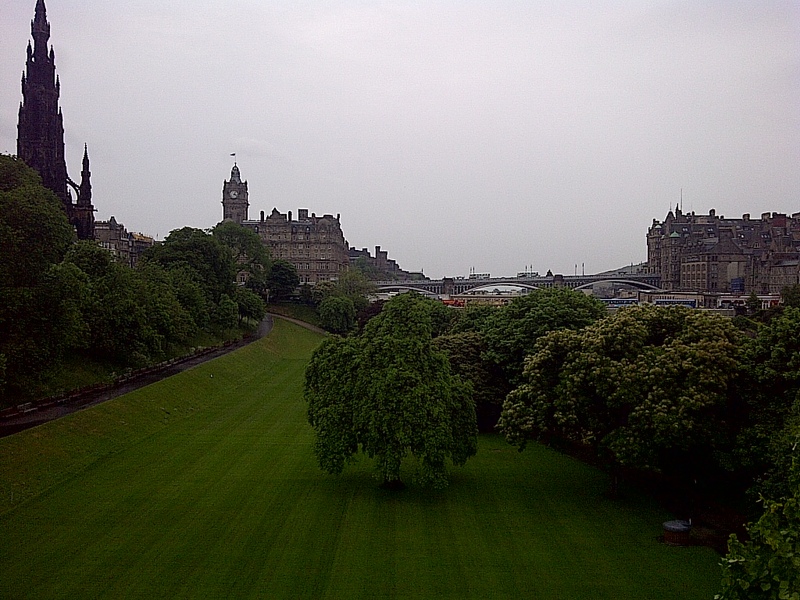 West Princes Street Gardens, on a gray but warm day. Edinburgh, Scotland, UK. June 11, 2013. On the ENGLAND, SCOTLAND & WALES tour.